A couple of days ago, I was driving down the road and I screeched. Loudly. I scared everyone riding with me, but I couldn’t help myself. There, right off the road was a tree, bright orange. It was surrounded by trees holding on to summer, their leaves still bright green. It was a beautiful sight, that firey hue on a backdrop of lively green. As I hopped out of the car to take pictures, any lingering thoughts of summer were wiped from my mind. Autumn is here and I’m embracing it. It’s not particularly hard for me to be enthusiastic about fall, it’s my very favorite season. All year I long for these days of warm cups of tea, cheeks flushed from the cool wind, and cinnamon scented everything. I crave hearty root vegetable soups, bread fresh from the oven after a long summer of salads and lighter fare. Most of all, I love the baking. Apples, pears & pumpkins, hello! This is the first thing I’ve baked since the season change, and it’s one of the best cakes I’ve ever had. About a year ago I tried an almond & pear chocolate bar and since then I’ve wanted to make something with that flavor combination. I added a touch of cardamom, because I love it with pear, and a cider glaze, because it just sounded good. There’s a lot going on here, but it works. It tastes like fall. The glaze here isn't going to get very thick, but I like it that way. When you pour it over your cake, it will sink right in instead of laying on top like one thickened with lots of powdered sugar. It'll keep the cake very moist and extra tasty. Preheat oven to 350°F. Generously brush 12- to 15-cup nonstick Bundt pan with oil. Whisk 1 cup boiling water, cocoa powder, in 2-cup glass measure. Whisk 2 cups flour, baking powder, cardamom, and salt in medium bowl. Using electric mixer, beat 2 cups brown sugar, 1 cup vegetable oil, and 1 tablespoon vanilla in large bowl to blend. Add eggs; beat to blend. Beat mixture until smooth, about 30 seconds longer. Beat in half of flour mixture, then cocoa mixture. Add remaining flour mixture; beat to blend. 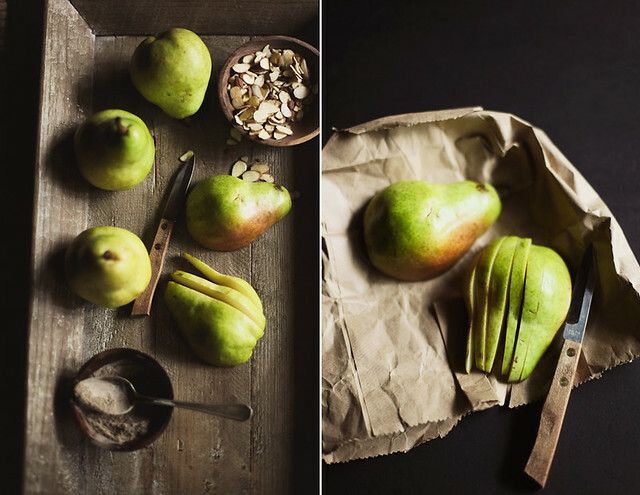 Fold pears & almonds. Transfer batter to prepared Bundt or angel food pan. Bake cake until tester inserted near center comes out clean, about 1 hour. Cool the cake 10 minutes. Invert cake onto rack; cool 15 minutes longer. Meanwhile, stir together cider, brown sugar, butter & cinnamon in a small sauce pan. Bring to boil, continuing for 5 minutes. Remove from heat. When cake is cool, pour over glaze & top with powdered sugar. Ahhh! Fall!! I can't get enough. I just wish in LA it was fall. Totally not. Pears and almonds sound amazing together. And that cider glaze?! Amaze. I'm right there with you about autumn, girl. It is my very favorite season for sure! This cake is lovely and sounds so delightful! Wow...looks amazing! Your photography is gorgeous, as always! this sounds so delicious. and yes, fall. so lovely! i love it too. beautiful (or more like stunning if i'm being honest) photographs! You're so right, this cake just has the feel of fall. It's nice to find new flavor combinations that work! I love cardamom with pears, too, I recently made a cardamom pear crisp that was great. Your photos are always such a pleasure. Pear, almond & cardomon?!! You can two of those spoons away from the picture, because I'm not sharing. I absolutely love the way you capture light. And the cake looks divine! Now, if only I could get Heidi to share a spoon. As said on twitter, I love the light you captured on your last posts! It's simply g-o-r-g-e-o-u-s. And I would also want to embrace fall by eating this full-of-autumn-flavors cake! Mmmm this looks incredible. Pears and chocolate..what a yummy combo. I second everything that Stephanie said on twitter. Those lush, dense shadows are epic. Oh my goodness, YUM. Loving these beautiful, beautiful shots! The cake sounds wonderful, but I have to comment on the first picture in the post - I love it. 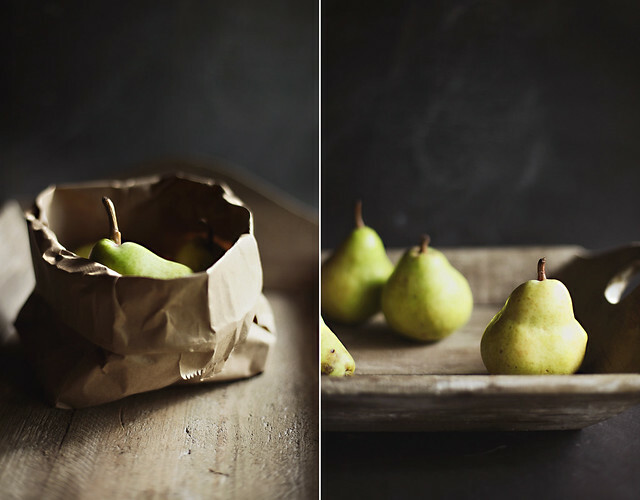 The pear is maybe a bit washed out, but the bag gorgeous - I love the light and shadows. Nice job! Beautiful photographs! Glad to have stumbled on your site! Beautiful photos, Hannah! Those fiery orange leaves are gorgeous, too. sounds delicious! i love the idea of cider frosting. yum! I love your photos as well, they scream of autumn. As well does your cake. I don't usually glaze cakes like these but I love your idea for this one! This cake is absolutely stunning. And your pictures are really beautiful... It's the perfect automn cake! this cake looks so damn good! I love the way you describe Autumn. And the cake looks divine. That looks beyond delicious! Your photography is gorgeous. I've never had pear cider. Sounds marvelous! 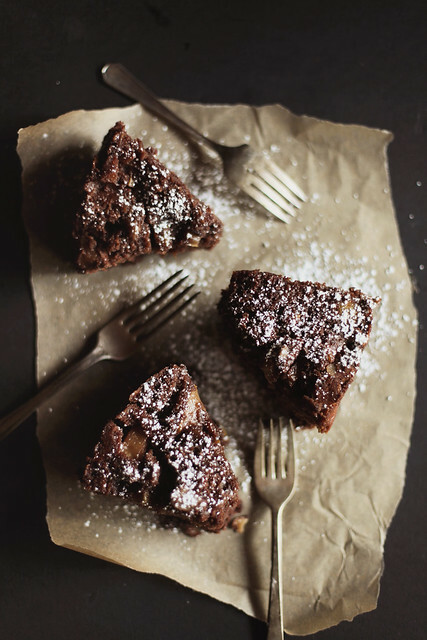 Love your dark cake; pears and chocolate together are perfect. Hannah, I'm so happy to find your blog! 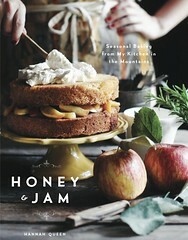 The pictures are beautiful and the recipes sound delicious. What a lovely fall recipe. Spectacular photos as always. 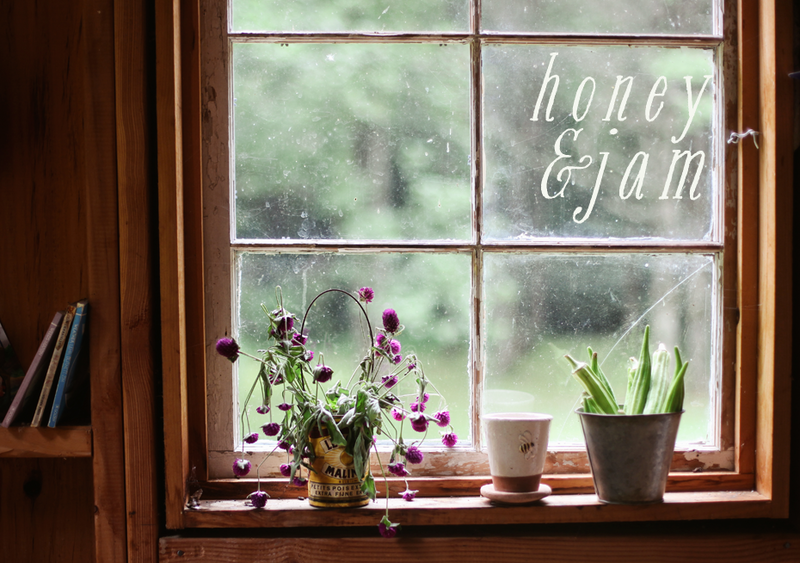 looks delicious, beautiful photos, found your blog through su and so glad I did, can't wait to see more! This cake looks amazing. I love cardamon and chocolate together. Beautiful autumnal photos. What could be used instead of the cider for the glaze? This cake is beautiful. Great photos AND recipe! Yum. Have you ever tried it with almond extract instead of vanilla? I adore almond extract but I didn't know if it would be too much with the other flavors. You've managed to sum up fall in it's entirety! Apples, pears, cinnamon, root veggies, pumpkins, tea, crunchy leaves... SO EXCITED! This cake looks delicious. 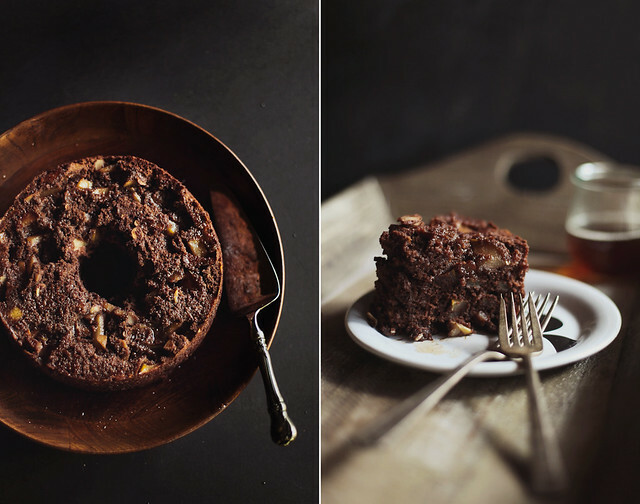 Beautiful Photos and such a yummi recipe. Love it - these autumnal moments. Chocolate and pear- what an interesting combination! I'm very curious to try it! Your recipe and your pictures are very beautiful. I's a pleasure to visit your blog. I must admit... this is a new pairing for me. But I love the idea of mixing pears and chocolate together! Brilliant! I can't wait to try this. Looks amazing. Do chocolate and apples go together? I have apples and apple cider at home but not pear. It seems like anyone who bakes loves Autumn the best!! Wow...looks mouthwatering!!!! !pears+chocolate, so yummy!!!! !great recipe and great photos too!!!! This looks wonderful! I'm not a big fluffy icing kind of gal, I love simple glazes like this..
could you use woodchuck hard cider's pear cider for the pear cider? Wow this looks amazing! Beautiful photography too. Your pics are just so gorgeous..the dark setting makes it mysteriously charming!! What a beautiful post. You're getting me all excited for fall too! Especially with this recipe; what a combination of incredible ingredients and flavors. As always your photos are beautiful and inspiring. Where do you get your pear cider? Or is this something I can make from scratch? I don't think I've seen it before. I love the idea of these flavor combinations + chocolate! Fall is my favorite season, so it's exciting to see all the recipes that take advantage of it! I actually made this cake. The taste; very nice flavors in all BUT it is really a pudding cake so if you are looking for something with structure this is not it. Very, very moist texture. The beautiful photo makes it look more cake like then it is! A typo said 2 1/2 cups brown sugar in ingredients list for the cake but when you read the directions for the recipe, only 2 cups is listed to be added!!! Which is it? I cup water, 1 cup oil, 2 eggs, 1 tablespoon vanilla and 2 diced pears makes a lot of moisture for two cups of flour and that is before you drizzle on the glaze icing! I am a very good baker so I am puzzled at how the recipe turned out. I used an angel food cake pan. It took 1 hr 15 min in the oven! Hi Isabella! the 2 1/2 cups is a typo - from the original recipe, the extra 1/2 cup was for a glaze there. oops! I did bake till cake tester came out clean. 1 hr 15 min in my oven. I would say it turned out between cake & pudding. Is the 2 cups flour correct? yep, 2 cups. did you use cake flour or regular flour? I used unbleached all purpose flour, King Arthur. Thank you! I was looking for a cake recipe to make tomorrow for company! This is perfect. Cheers. Mmmm... I love those incredibly chocolate cakes... and the cider glaze is wonderful detail! Hi! I'm dropping in from Sue Ann's blog (chocolate for breakfast) after seeing the gorgeous photos of this cake... it's everything I'd hoped it would be, recipe-wise. Love the flavor combos! I especially enjoyed your "screech" / stop the car / take photos story :) and the way you described fall. Thanks for the autumn celebration! This sounds absolutely fabulous but can you answer a question a few people have asked - can you please elaborate on the pear cider - what type of pear cider do you mean/where do you buy? I'm confused if this is supposed to be pear cider as the spiced pear juice type (like traditional apple cider) or cider as in the type of alcoholic beverage you get at a bar : ) Thanks for your help in advance. I can't wait to try this out! stunning stunning stunning photos ! Unique food flour with a high starch-to-gluten rate is made from fine-textured, smooth, low-protein wheat or grain. It is clearly bleached, and when in comparison to all-purpose flour, food flour tends to outcome in desserts with a light, less heavy surface. Therefore, it is regularly specified or recommended in desserts used to be smooth, light, and or light, such as angel food food. I remember a good cak back in Pattaya guesthouse. I found your blog after a search engine optimization service. I'm currently eating this delicious cake as I type; I'm talking crumbs on the keyboard with chocolate smeared keys. So yummy! I made a few adjustments and wanted to share them. I used walnut pieces in lieu of almond slivers, only cut up one very large pear, and used 1 tsp cardamom and 1 tsp cinnamon instead of the 2 tsp cardamom the recipe called for. I didn't use the apple cider glaze, because the cake is certainly sweet enough for me. Though I'm thoroughly enjoying this cake, I find the cardamom still a bit overpowering, so next time I make this cake (and there will definitely be a next time) I'll use 1/2 tsp of cardamom. And I might cut back on the brown sugar in the cake if I planned on using the glaze. Thank you for another fabulous recipe! Your blog remains a tried and true go-to for all my baking desires. I just made this cake for a potluck dessert last night and it was INCREDIBLE! I made it gluten free and it was still so moist and delicious! Everyone raved about it. So thanks for the recipe! I'm making this cake in the week end but I am not sure about the measurements of the pan. Could you tell me yours, please? chocolate and pears go so well together, this cake looks fantastic! Its a new invention to make this cake.As they are cry expert in making this kind of cakes but some new instruction has been added here to complete this at once.It is so taste to eat that i would like to try to make this at home. This is an excelent recipe. I adjusted the sugar's quantity (1 1/2 cups instead of 2 cups). It is so moist and with a deep chocolate flavor. AMAZING!